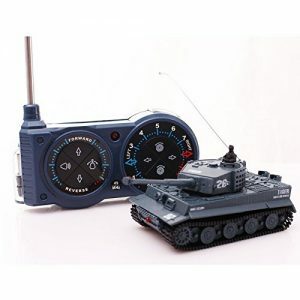 Remote Control tanks and vehicles have been around for a while, but this new Tiger I tank is really small and well-done. Only 1/72 scale model but having the outstanding remote control capabilities of a larger one. 1:72 mini scale model & high level details like real tank. This entry was posted in RC tanks and tagged Remote Control Tiger I Tank, Tank Tiger I by qcopterpilot. Bookmark the permalink.